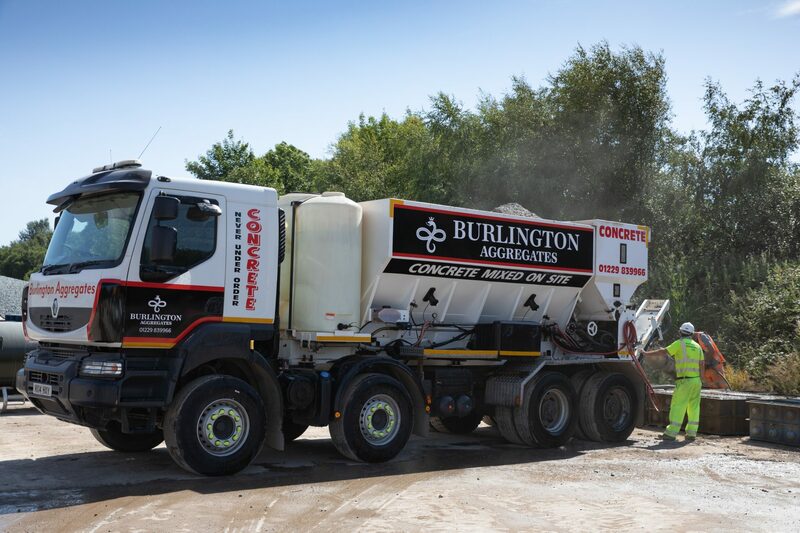 With the ability to supply both the residential and commercial customers, Burlington Aggregates’ Volumetric Concrete mixer can provide the right concrete for any project and only mixes the quantity you need. This means there is no waste, you cannot over or under order, making it a cost-effective and eco-friendly solution. Quality / Fresh concrete every time. Concrete is mixed on site so it is delivered fresh and will not be beginning to set by the time it arrives For every 5/6 litres of water added there is a loss of 2/3 Newton strength of the finished concrete. Only mixes the quantity you need – meaning no waste, you cannot over or under order, making it a cost-effective and eco-friendly solution. Burlington concrete is mixed using only quality tested aggregates. The slump can be adjusted on site by adding or reducing the water to give the workability needed for the job, and even more, than one mix can be provided for the same delivery i.e. weak mix for filling up and strong mix on top to help reduce the costs. Interlocking concrete lego blocks are also available, which are perfect for building custom storage bays, partition walls, security blocks and retaining walls. "Concrete is mixed on site so it is delivered fresh and will not be beginning to set by the time it arrives For every 5/6 litres of water added there is a loss of 2/3 Newton strength of the finished concrete. Only mixes the quantity you need – meaning no waste, you cannot over or under order, making it a cost-effective and eco-friendly solution. 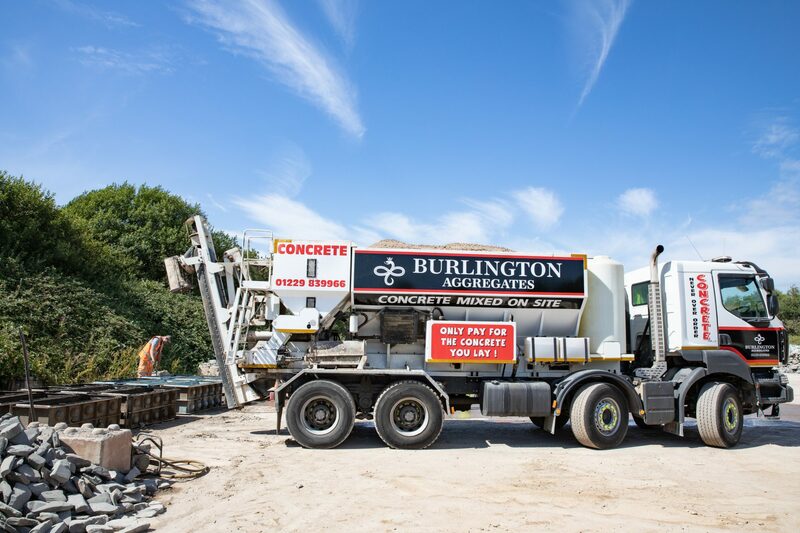 Burlington concrete is mixed using only quality tested aggregates." " The slump can be adjusted on site by adding or reducing the water to give the workability needed for the job, and even more, than one mix can be provided for the same delivery i.e. weak mix for filling up and strong mix on top to help reduce the costs." 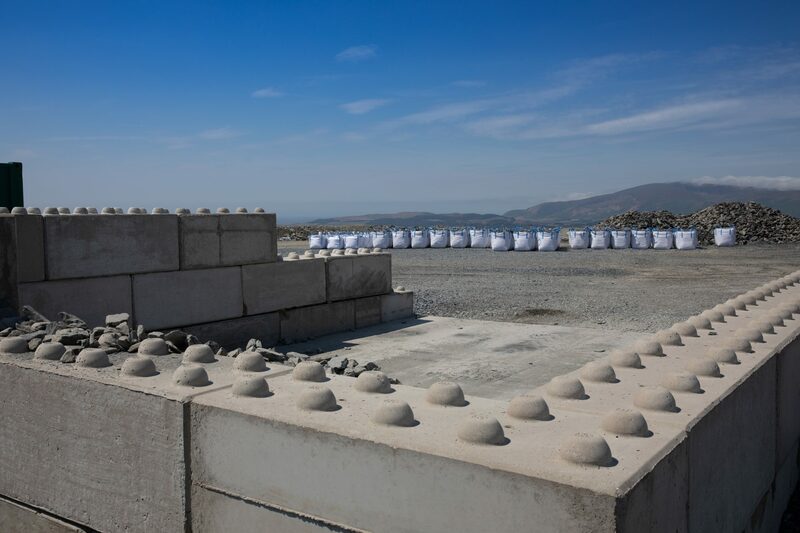 "Interlocking concrete lego blocks are also available, which are perfect for building custom storage bays, partition walls, security blocks and retaining walls."